Nowadays perhaps everybody gets infected by spyware at some point and feel headache to rip them out of the computer system. Free Spyware Killer is a professional and free anti-spyware application that can help solve the predicament. It eliminates your spyware threats to keep you far away from laggy computer performance, hard disk failure and identity theft. Working as effectively as any high-priced anti spyware package, the spyware removal tool works like a radar to detect any malware, even in the tiniest corner. 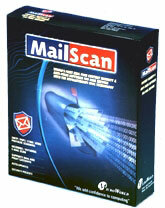 It provides fast scan or deep scan to scan the memory, boot sectors, system folders, autorun objects, ActiveX objects, etc. You can scan the whole computer, entire harddrive, partition or just a designated folder. Our database contains the info of over 1,000,000 known threats, enabling you to handle most types of spyware, adware and other malicious applications. Nevertheless, our developers and expert group will keep enlarging the database and provide updates to protect your computer from newest threat. Meantime, we provide abundant tutorials, tips, Q&As and articles to help you get started with Free Spyware Killer and acquire more related knowledge. A computer haunted by spyware is the last thing you need, either at home or in office. Just make use of Free Spyware Killer because when it's come to system security, you are never too sensitive. This site does not contain serial number, crack, keygen Free Spyware Killer serial number : serial number is the simplest type of crack. A serial number(cdkey,product key,etc) is register the program as you may already know. a crack or keygen may contain harmful software. If you cannot find the exact version you want, just give it a try. for more information read .nfo/.txt/.diz file include in zipped file.